JLI, the Japanese Language Institute of Sapporo, is the number one Japanese Language Institute in Hokkaido and has the most student enrollments. Its history and achievements have paved the way for a trusted Japanese learning environment. It is also continuing its development in providing education based on students’ needs. Lessons “using” Japanese : Taking advantage of a multinational class, there are many opportunities to speak with each other in Japanese during class time. Lessons incorporate interaction with Japanese people : There is also the opportunity to learn together with the students from the Japanese Teacher Training Department. Further study support : In intermediate and higher level classes, Examination for Japanese University Admission for International Students (EJU), Japanese Language Proficiency Test (JPLT) specialized exam preparation will be offered as EJU and JLPT are necessary for further studies. 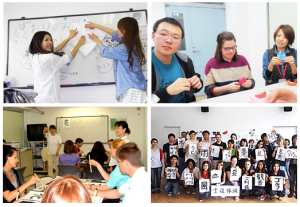 JLI provides two Japanese language programs: for higher education course and General Japanese language course. For those who want to further their study in vocational schools, universities or graduate schools. Course completion occurs in March every year, further study from April. For those who do not wish to further their study after graduation. You can take the short-term course from one week to 12 weeks. This is for those who have temporary visas. Start Date Anytime (depends on student language level). Fees listed include the tuition fee and admission fee. 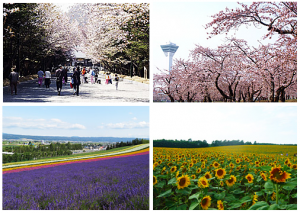 There are many ways to enjoy the beauty and diverse seasons in Sapporo. Students from both the Japanese Language Department and the Japanese Teacher Training Department can join in the activities of the Japanese Language Institute of Sapporo. Students of Japanese Language Institute of Sapporo benefit from a wide choice of accommodation including dormitories and homestay. The school can introduce kind and reliable host families to students. The purpose is to increase Japanese ability, incorporating use inside and outside of the school. Compared to Tokyo and Osaka, Sapporo hosts more families, with a larger residential environment and a high quality homestay experience. Please understand there are only a limited number of homestay options available in each period of time so it is possible that you may not stay with a host family.